The goal of our practice is to provide patients with high-quality care in a comfortable setting. We strive to educate our patients and show them how to be proactive in the personal care of their teeth, mouth and gums for a beautiful and healthy smile. 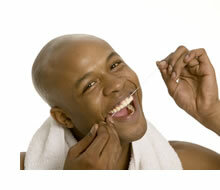 For information about dental health visit the MedlinePlus website.